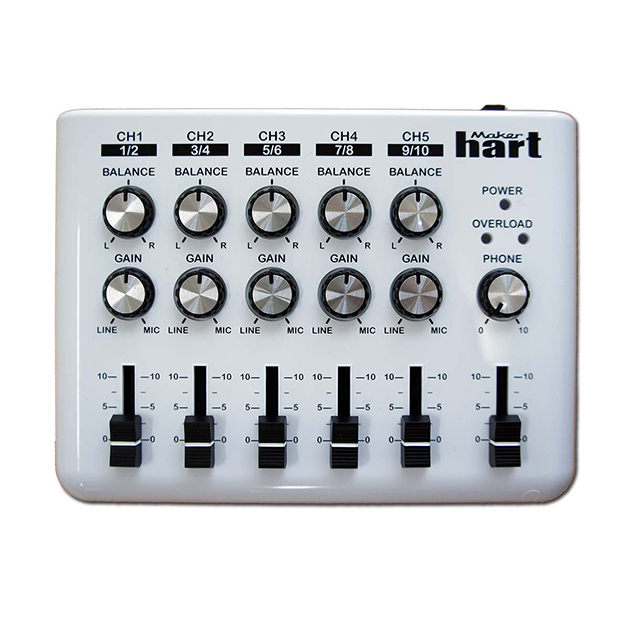 Loop Mixer - 5 channel stereo audio mixer with loop function - Product | Maker hart Industry Corp.
Loop Mixer has 5 stereo input Audio mixer, therefore it could connect with 10 inputs at most. It also has amplifier for using as the Dynamic microphone※. 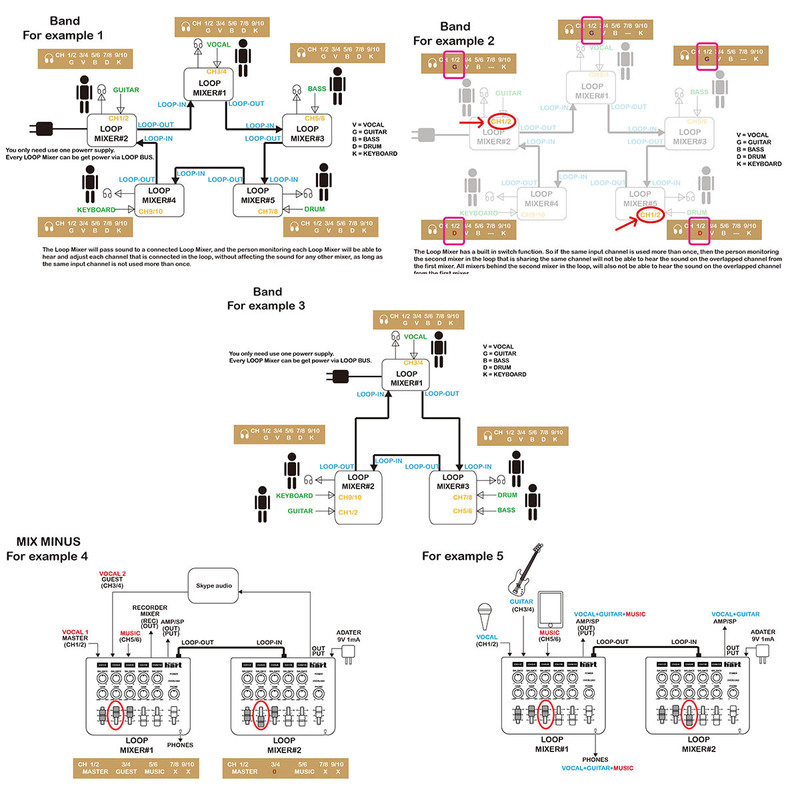 When it is applied into the band for multiplayer practicing.It could connect with all loop in and loop out in series. 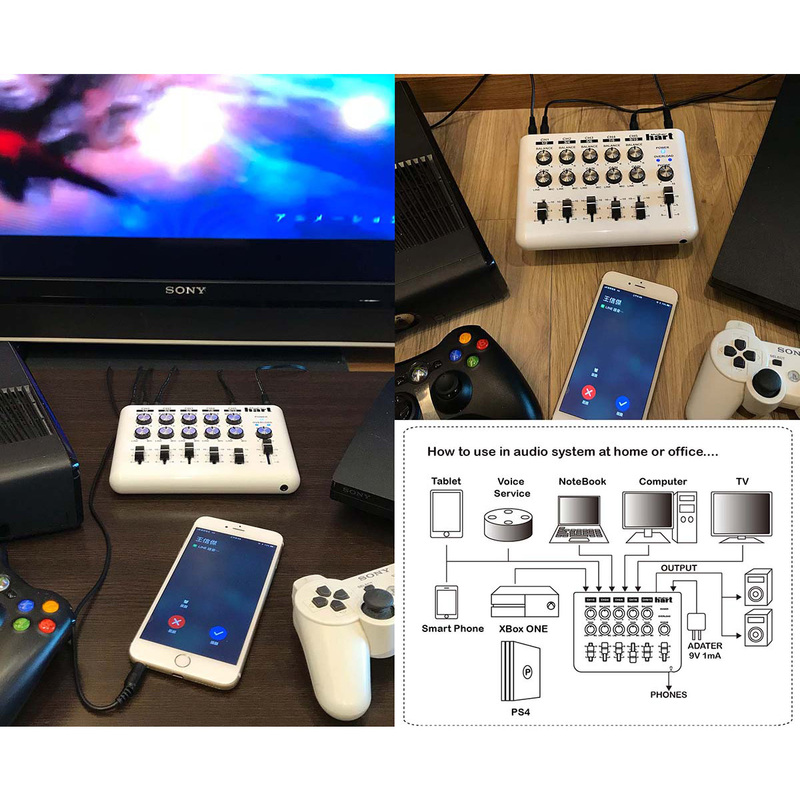 In this situation,you could switch the voices upon your request as music mixer. That means you could choose not only to hear the voice you wantbut also not to hear the voice which you are not required. In addition, this situation will not affect the mixer output. Stereo & Mono compatibility: Up to 5 stereo input connections or up to 10 mono ones. Mono to Stereo DM2S adapter included. 3 output jacks. 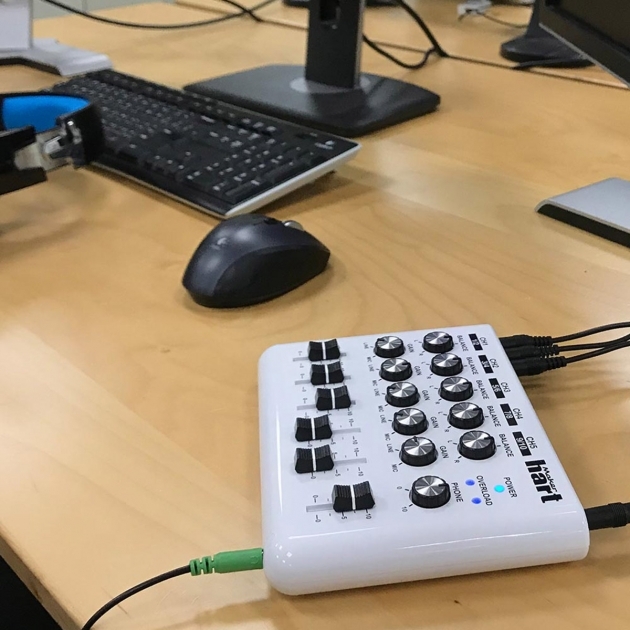 Amplify Signal: Powered by an AC adapter, the mixer allows you to increase signals from MIC to LINE level to a max gain of 50 dB for each input. 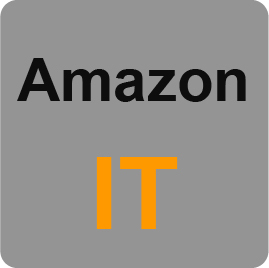 The built-in LED indicator will help you monitor signal levels to assist you in delivering the best audio performance! 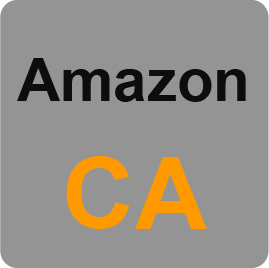 Compatible with a wide range of devices including smartphones, microphones, computers, game consoles, electronic musical instruments, DJ equipment etc. 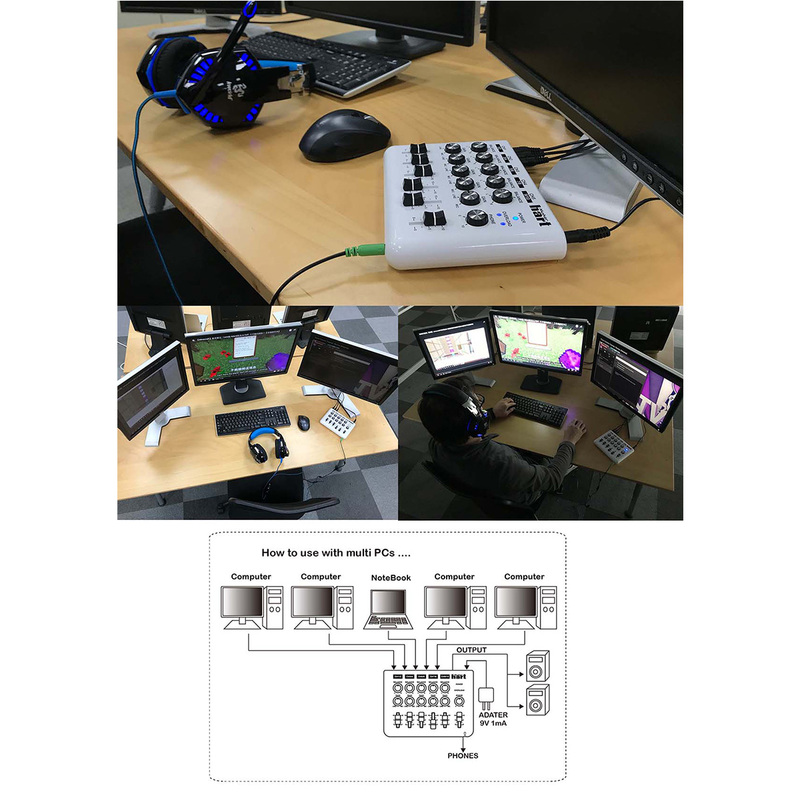 Stereo 5 in/2 out Configuration: 5 stereo devices on LOOP MIXER can connect up to 10 mono device. 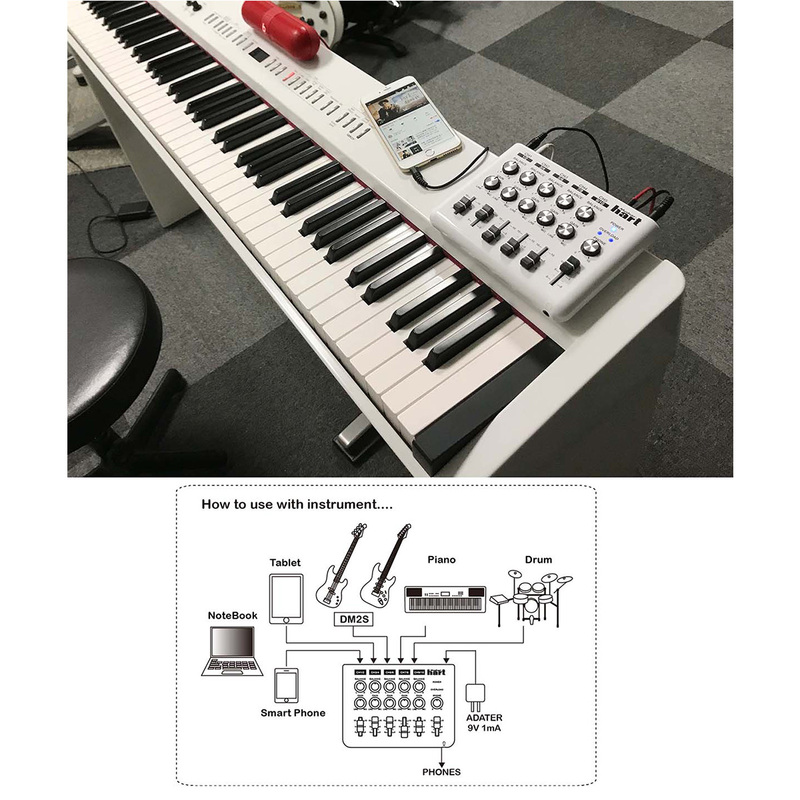 Microphone Setup: With the inclusion of SENS(Sensitivity) knobs, the LOOP MIXER can accommodate a variety of signals from microphone to Line level. REC OUT Jacks: Connection to a recording device can be made through these jacks. 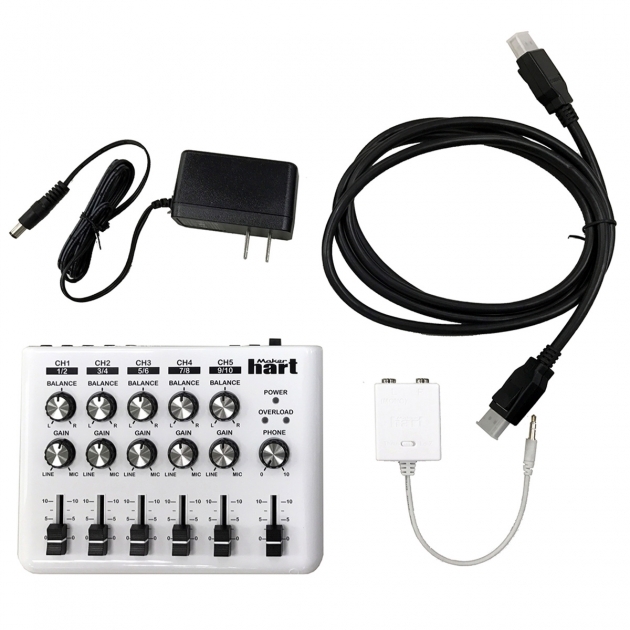 PHONES Jack: Stereo headphones can be connected to this jack for convenient mix monitoring. 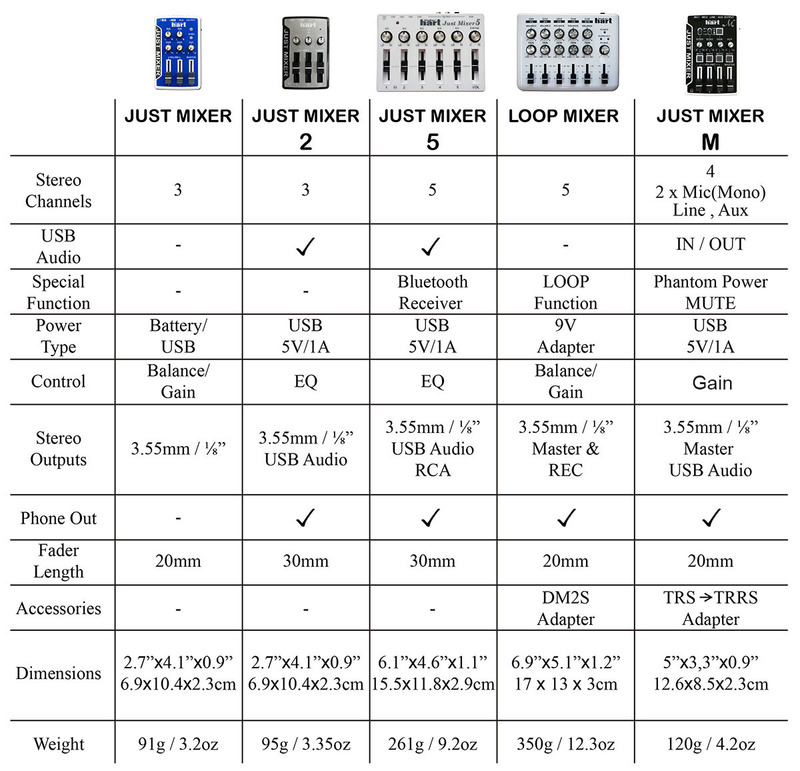 LOOP Jack: Through loop cable can be connected plurality LOOP MIXER, and on the respective LOOP MIXER, you can monitor and adjust the sound volume of other devices freely, and not affect the overall mix effect. A professional, travel-friendly and high-performing audio mixer that will exceed your expectations.